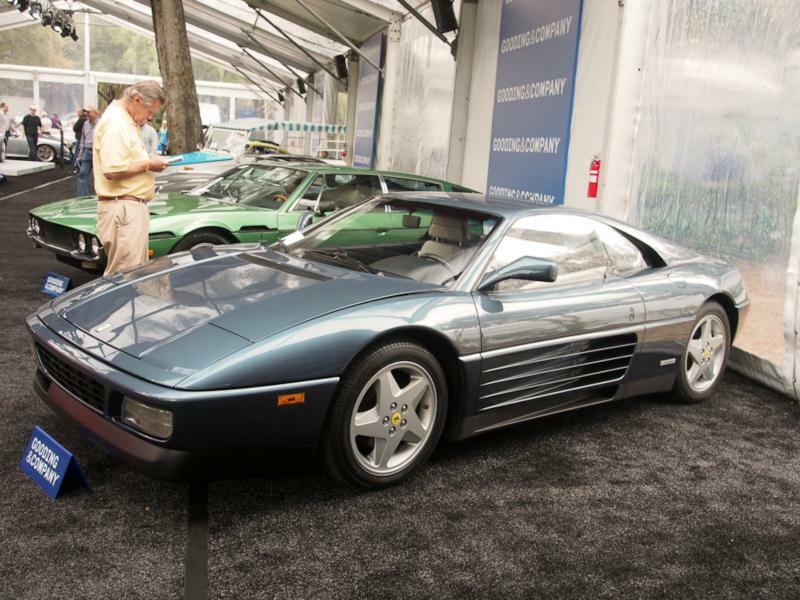 Ferrari introduced the 348 in 1989 as a long-awaited successor to the 308/328 series, which had been in production since 1976. 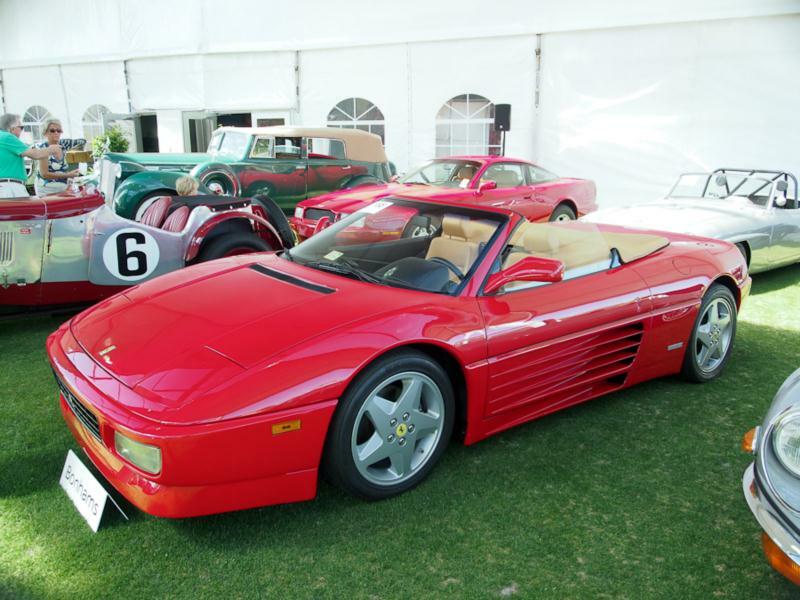 A dramatic departure from its predecessor, the 348 took styling cues from the Testarossa, with its side-mounted radiators and strakes, while having a longitudinally mounted engine with a transverse gearbox. This mid-engine arrangement mimicked the layout of Ferrari’s F1 cars at the time and looked like a “T” in plan form. The design helped centralize mass between the wheels (it also explains the “t” designation; the coupe was the 348 tb, and the Targa-topped version was the 348 ts). The 3.4 liter four-cam V-8 made 300 hp and propelled the car to 60 mph in 5.6 seconds on the way to a top speed of 171 mph. Standard anti-lock brakes afforded equally impressive stopping abilities. The coupe and the Targa were largely unchanged through the end of 1992, while subsequent cars gained 12 hp as well as a minor suspension revision to address complaints of nervous handling at the limit, and these cars are referred to as the 348 GTB and. 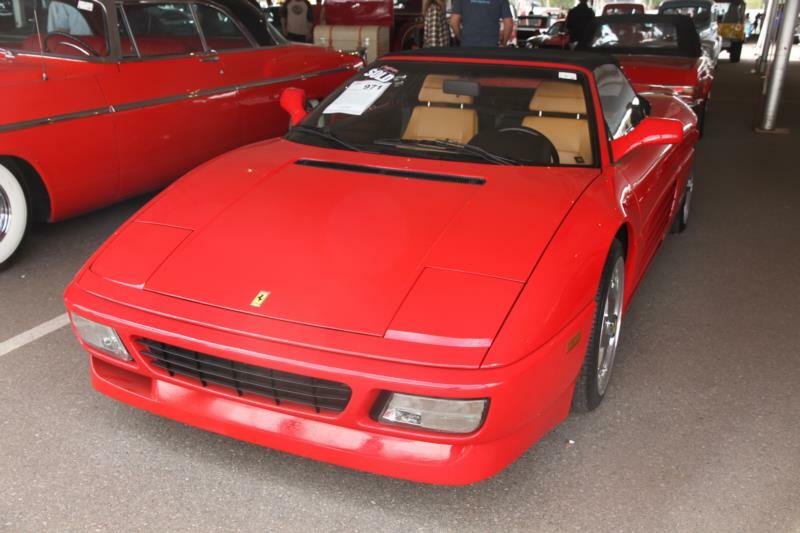 In 1993 the 348 Spyder convertible was introduced and this model lasted through 1995 – one year after the coupe and Targa 348s had already been replaced by the 355. Two notable limited edition cars were the 1992-94 U.S.-only Series Speciale (100 built), and the 348 Challenge, which was a combination street/track car (57 built). Prospective Ferrari 348 owners should be aware that the engine does have to be removed in order to complete the belt service, and like most Ferraris of this period, sticky interior parts and electrical issues might have to be dealt with. Even with these areas taken into account, the 348 represents a good choice for an enthusiast, as they are fantastic performers. High production numbers and recent build dates conspire to keep prices reasonable, which helps lessen the pain of sharp maintenance bills.